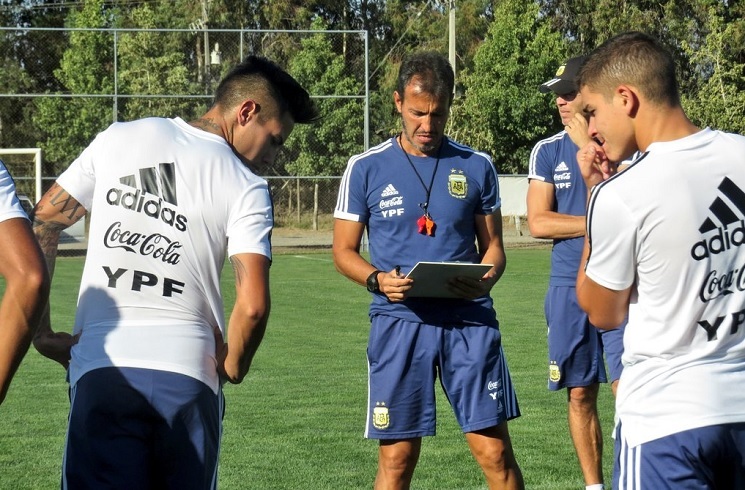 Argentina U20 team in training. Argentina’s starting eleven for the match against Colombia in the Sudamericano has been announced. True. Some perfect chances for second goal lost. Gaich is the best and the worst player of the team at the same time. He is so much usefull and extremely hardworking player, being everywhere but his definition is poor still. Other than the goal alvarez was poor too and romero invincible. It hurts a lot to see how much we have fallen behind. There was a time we won 5/7 youth world cups. These days we talk about qualifying. 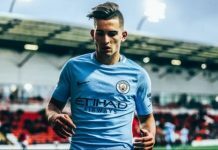 I find it very strange that some of us here still debate about how great our youth players are. They are not. Period. We struggle to qualify, no team game, no major exciting talent. For example, Palacios. Real was really interested. But after the club world cup games, you can see this transfer is not happening. He is not a Real Madrid midfielder. This is a sad state. First step of solving a problem is to accept we have a problem. Not sure that has happened. We ARE falling behind and it’s sad! And people think this youth will win THE World Cup? If this golden Generation of Messi, Aguero, Higuain, Di Maria, Mascherano, Gago, Tevez, Zannetti, Pastore, Zabaleta, Demichelis, Garay, etc, what makes you THINK this new generation will win it? It’s the sad truth but we HAVE to accept it! If we accept it, then change will come! From 1995 – 2005 we excelled at this level. In the past decade our youth teams have degraded. Since 2006 only one south american team (us) made it to the final of the WC. With such poor youth teams, weird tactics and strange selection choices it might be decades before we win the WC again. The previous U-20 team was full of good players they had horribly bad luck. They’ve played eye-catching football. Montiel, Cristian Romero, Senesi, Foyth, Lisandro Martinez, Ascacibar, Colombatto, Palacios, Zaracho, Lucas Rodriguez, Lautaro Martinez, Ponce. @Gonzalo I am going to disagree with you, respectfully. None of these players are great. There is no bad luck or eye-catching football. The names you have above are a whole bunch of average or above average players. Some of them may develop and become better. For example, Foyth is in a good setting where he can develop. But remember the runway is short. If you cannot fly within that runway, you are going to crash. In your list of players I do not see anyone going to a top club (Real, Barca, Bayern etc.) or playing at top level. I can be proven wrong, but at this point I dont see. Yes, they were playing eye catching football during last WC. If there is any full record of that matches go and check. 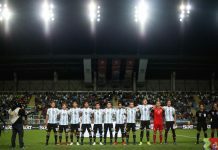 Foyth, Ascacibar, Palacios, Zaracho, Lautaro Martinez are already called up by Scaloni. Others rumored like Montiel. While most of the rest will be there sooner or later: Romero, Lisandro Martinez. Lautaro is in Inter. Senesi on Barcelona radar, Zaracho on Atletico radar, Palacios of Real. They are just 20/21 yo so have not make it immediately but the talent is there to emerge sooner or later. You are too quick in judging. Martinez for sure. Barcos at Atlanta maybe. Foyth, Lo Celso, Mammana, Pavon, and A Correa 21-22. A Correa, Dybala, Lanzini, Icardi, J Correa, and Acosta are 23 – 25. Looks pretty good but younger that, Im not sure… I’ll leave that to the mund experts who follow. 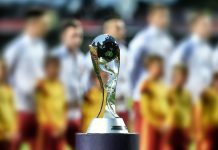 The last time we won the U-20 WC, Aguero was captain. Maybe for the Copa… He should be captain. Relieve Messi of the Captaincy, make him second or third behind Romero, and let him focus on JUST playing. Here we go. Now Batista starts with 3 strikers (at least strikers in their clubs). He is groping in the dark. Maroni instead of Almada might be better choice though. Maroni is more matured. De La Vega should play, not Alvarez. Any link for this match @Gonzalo?? Today link is not given in Roja Directia so far!! Thank you so much! Appreciate that, Got the link! Gonzalo. We always talk of Defensa’s defenders, but what about their midfielders Miranda, Togni and Domingo Blanco? Any worth keeping an eye on? Where on earth do AFA find these guys? Batista is showing he is crazier than Sampaoli. Insaurralde started to show good things and he is dropped again for consistently poor Moreno. I mentioned before the last match that Maroni should play in midfield (just like Barco should). He has made that choice but 2 CF and a struggling forward is unthinkable. The truth is other than Almendra and Barco there is not any that could make much of a difference. If they do qualify miraculously with this Coach, then I wouldn’t mind seeing Ignacio Alisedo of Defensa instead of Collidio or Romero. What a mess. Argentina has had a curse of poor team selection at every international level. With you though, happy Maroni is back on. Terrible choice for him not to get minutes versus Ecuador.